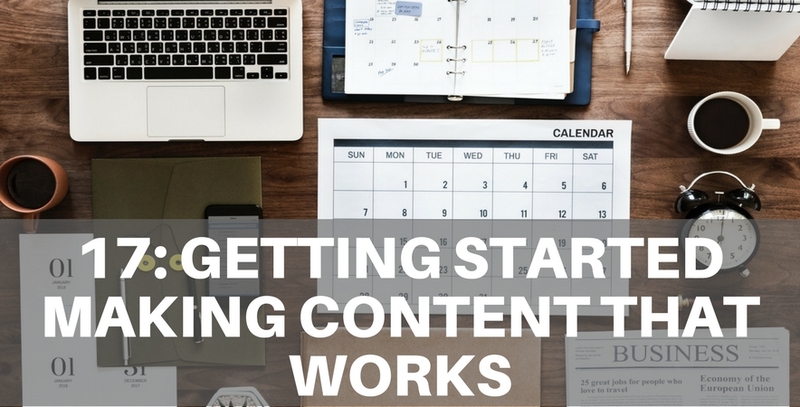 In todays episode, we deep dive into creating content that works for your business. We give you a list of content ideas that you can start creating now that will have a positive impact on growing your business. Darryl: I don't understand how all these people do it they mustn't have a job or a full time gig all of these things that we hear. Darryl: so there pool shop all right so pool shop includes you know they probably go out and service pools and clean them for people if they want they sell pool photos they sell chemicals all those things, that sort of stuff I get it. Edmund: depict images all that sort of stuff so at a very basic level you've gotta have all of that right if you ……? Darryl: well lets Can I stop you there? Darryl: what about what about I mean and one other ones on what we talked about quite often ourselves to people as it starts out with a discussion about frequently asked questions but I think it's a bit deeper than that it's kind of answering customer questions isn’t it. Darryl: that’s the result I'm trying to achieve? Darryl: And I'm gonna say that I would imagine everyone should at the top of their list have answering customer questions or answer questions?